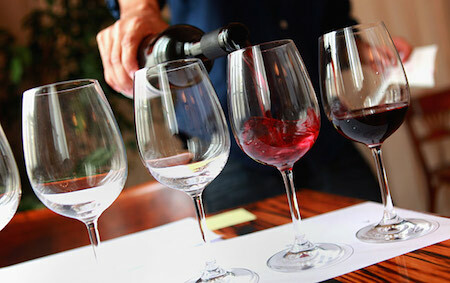 Their Manchester Wine-Tasting Courses are fantastic days out learning about wine in a relaxed and fun environment. The Midland Hotel in Manchester, Peter Street, Manchester, M60 2DS. Their Manchester Wine-Tasting Courses are fantastic days out learning about wine in a relaxed and fun environment - suitable for everyone from the absolute beginner through to budding wine enthusiast. It's a full Wine-Tasting Experience Day where you'll taste 14 Wines, learn about food and wine matching, how to spot a corked wine and much, much more. Fun Wine Tasting Experience Days at the Midland Hotel, Manchester with the Award Winning Wine Unearthed. MAkes a great day out and the Perfect Gift for the Wine Lover.